According to Tim Dierkes of MLBTradeRumors.com, the Milwaukee Brewers exercised their 2015 contract option on starting pitcher Yovani Gallardo. 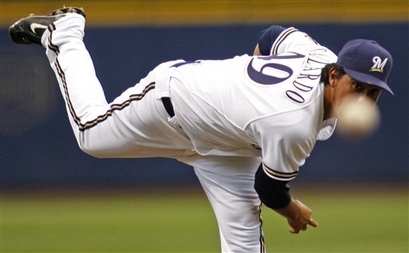 Yovani Gallardo’s option has been officially picked up by the Brewers. The option, worth $13 million, had a buyout of a mere $600 thousand, but it was universally agreed that the Brewers would not be able to find similar production on the free agent market for that kind of cost. Gallardo’s strikeout numbers have dropped the last couple of years, but he’s remained a relatively consistent performer by many other metrics including FIP, WHIP, innings pitched, home run rate, and more. The senior member of Milwaukee’s rotation also posted the best full-season ERA of his career at 3.51, over half a run lower than 2013. Gallardo also posted his lowest BB/9 (2.5) at the MLB level. 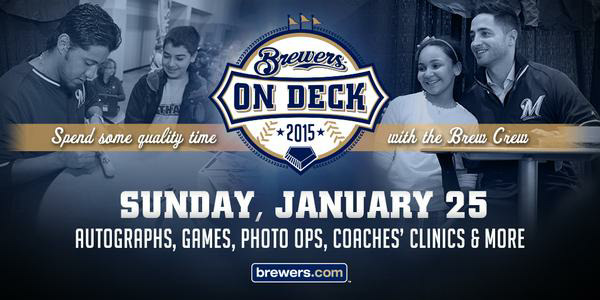 The Brewers now appear to have four of their five rotation spots secured for 2015 in Gallardo, Matt Garza, Kyle Lohse, and Wily Peralta. Jimmy Nelson and Mike Fiers would seem to be in line to compete for the fifth job and almost certainly other options will be considered come camp. But if everyone stays healthy, four jobs appear set. There is also the matter of the holes on the team, most notably at first base where both Mark Reynolds and Lyle Overbay are free agents. Overbay, who said on MLB Network radio that he’s leaning toward retirement, isn’t likely to return. Neither, it would seem, is Mark Reynolds who played quality defense but was either hitting home runs in bunches or hitting nothing at all. If the Brewers decided that there is value in moving an affordable asset to shore up a bigger hole, it’s conceivable that the Brewers could install Fiers and Nelson in their rotation or return to Marco Estrada who is arbitration eligible. 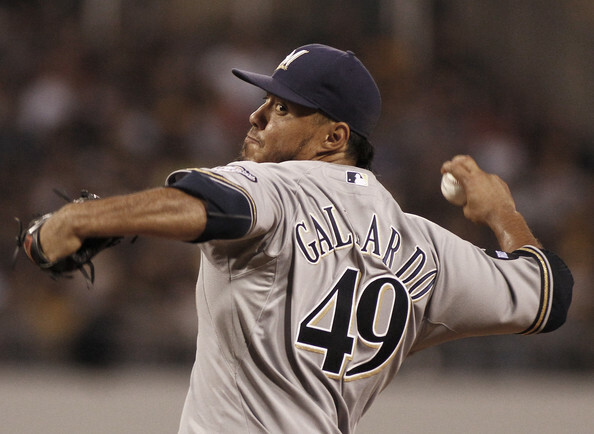 The point is that by picking up Gallardo’s contract option, the Brewers will be picking up other options as well, metaphorically speaking.